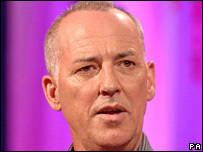 Michael Barrymore has been released without charge after he and two other men were questioned by police about the death of Stuart Lubbock. Mr Barrymore, 55, and two men, aged 37 and 32, were arrested on Thursday on suspicion of sexual assault and murder. Mr Lubbock, 31, was found near the swimming pool at the entertainer's former Essex home, in March 2001. Mr Barrymore and Justin Merritt, 32, from Harlow, Essex have been released on police bail. 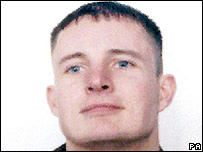 Jonathan Kenny, from Blackpool in Lancashire, is believed to be still in custody. Solicitor Henri Brandman said Mr Barrymore "categorically denies" the allegations that have been made. My life has been on hold. I will never get those six years back again. Mr Brandman said: "Michael has not been charged with any offence. He has fully co-operated with the police in their inquiries." Earlier, detectives had to stop questioning Mr Kenny after he told them he was feeling unwell and needed medical treatment. Inquiries began after Mr Lubbock's body was found at Mr Barrymore's had former home in Roydon, following a party in March 2001. In 2002 a coroner recorded an open verdict in to his death, after an inquest heard he had suffered severe internal injuries, suggesting he had been the victim of a serious sexual assault. Alcohol, ecstasy and cocaine were found in his bloodstream. An investigation was carried out by Essex Police, but no-one was charged with any offence in connection with his death. However, the force re-opened the investigation in December 2006. The Independent Police Complaints Commission (IPCC) also launched an inquiry, looking at complaints made by Mr Lubbock's family about the first investigation, which was put on hold after the arrests on Thursday. Mr Lubbock's father, Terry, 62, of Harlow, later said: "My life has been on hold. I will never get those six years back again. Why has it taken so long? "I have had so many disappointments over the past six years. This could be another one."